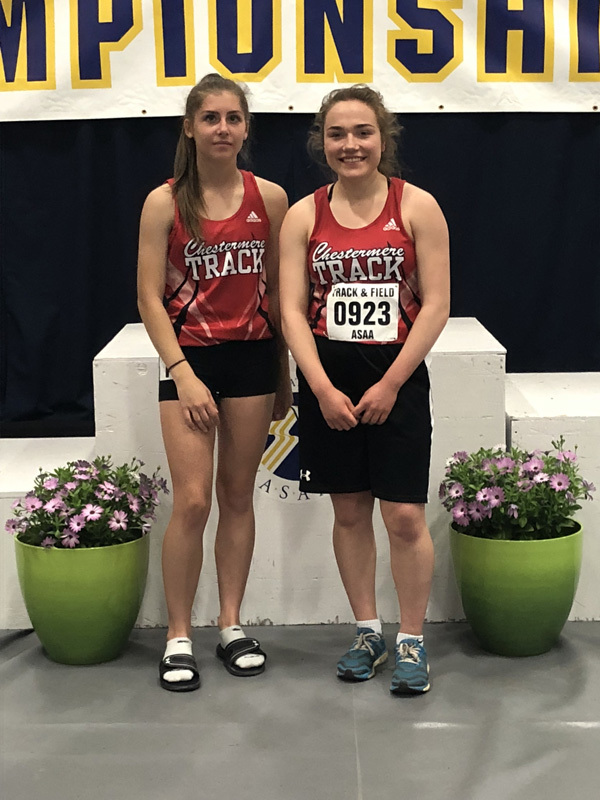 Two CHS athletes competed in the ASAA Provincial Track Championships this past weekend. Grade 10 student, Tori Brown, finished 12th in the Junior Girls 100 meter sprint. 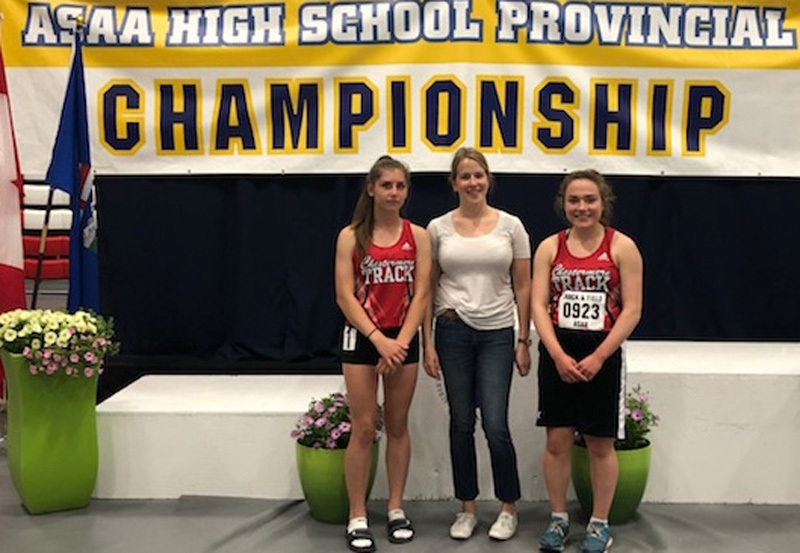 Grade 12, Katelyn Smith finished 8th in the Senior Girls 1500, setting a new school record in the process. 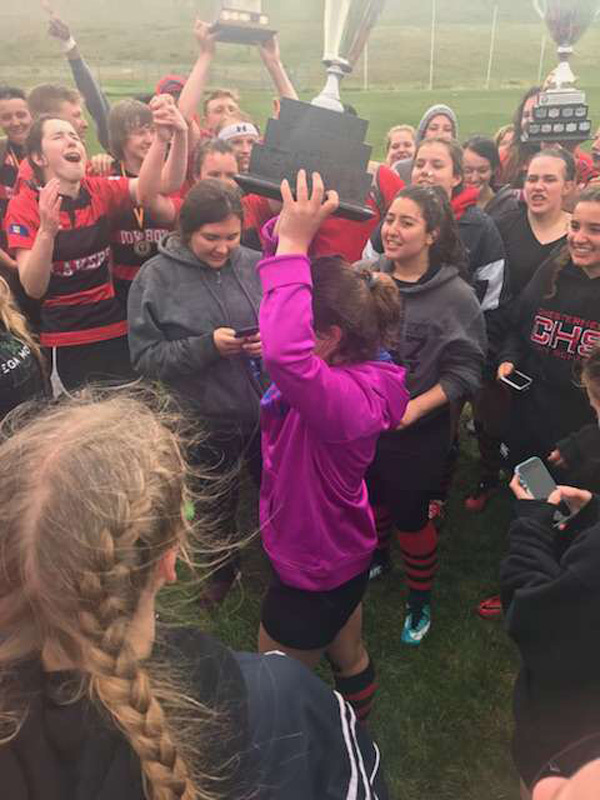 For Katleyn, this was her 8th appearance at an ASAA Provincial Championship, in three different sports, which is a first for a CHS athlete. The Cowboys are back at it this week to wrap up spring camp, following a joint practice session with Strathmore High School, that ended with a competitive 7 on 7 passing session. This week practices will run Monday to Thursday from 4-5:30 and on Friday from 2:30-4:00. Spring camp will finish with a scrimmage against Springbank at Spray Lakes Field in Cochrane. The scrimmage will start at 4:30. The Cowboys regular season will start in mid August. Contact Coach Ledieu at sledieu@rockyview.ab.ca for more information. On Tuesday, June 5th, Chestermere High School held its annual Athletic Awards Night. At press time, results were not available. Award winners and pictures will be posted in next week’s article. It was an exciting weekend for three Cowboys alumni, who were all selected to the Alberta Sports Hall of Fame. Randy Bec, Reid Miller and Brad Handel all entered as members of the two time National Championship, Calgary Colts. 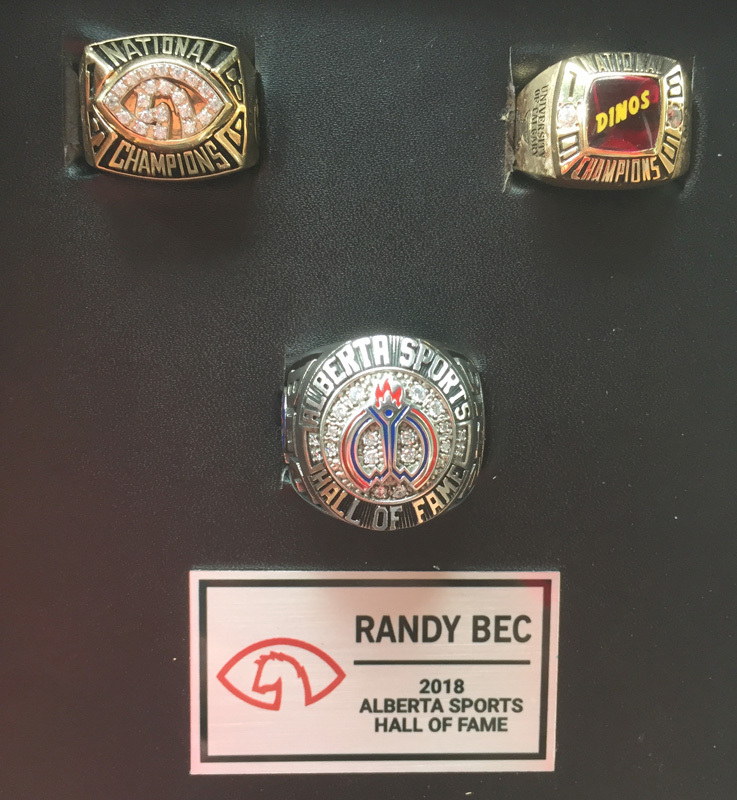 Randy became only the 13th athlete to enter the Hall of Fame twice, having entered in 2010 as a member of the University of Calgary Dinos. Randy was joined, in 2010, by current CHS staff member and former Cowboy, Steve Wiens. Congratulations to all four of these outstanding graduates, who also are members of the Chestermere High School’s Hall of Fame.